Read Granado-espada.eu news digest here: view the latest Granado Espada articles and content updates right away or get to their most visited pages. Granado-espada.eu belongs to a large group of moderately popular websites, with around 66K visitors from all over the world monthly. It seems that Granado Espada content is notably popular in Singapore, as 64.2% of all users (42K visits per month) come from this country. We haven’t detected security issues or inappropriate content on Granado-espada.eu and thus you can safely use it. 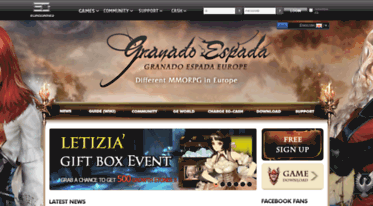 Granado-espada.eu is hosted with eFusion MMOG GmbH (Germany) and its basic language is English.